Millions of successful hunts have proven the accuracy and deadly effect of the famous Hornady bullets loaded into Hornady Custom rifle ammunition. Every round of Hornady Custom ammunition is hand inspected before packaging to ensure the highest levels of quality control. 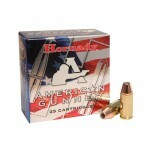 Custom ammunition is manufactured to give shooters and hunters the advantage of handloaded accuracy in a factory load. It balances expansion and penetration and is well-suited to medium and large sized game. 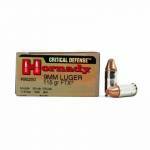 Cate..
Hornady 9mm Luger 115gr FTX Critical Defense Ammunition - 25 Rounds. Caliber: 9mm Luger 115 Grain Muzzle velocity: 1140 fps Energy: 332 ft/lbs 25 Rounds ..
Hornady 9x18mm Makarov 95gr FTX Critical Defense Ammunition - 25 Rounds. Caliber: 9x18mm Makarov 95 Grain Muzzle velocity: 1000 fps Energy: 211 ft/lbs 25 Rounds ..
Hornady American Gunner 300 Blackout 125gr Hollow Point - 50 Rounds. Caliber: 300 Blackout Muzzle velocity: 2175 Energy: 1313 ft/lbs 50 Rounds ..
Hornady American Gunner 380 Auto 90gr XTP - 75 Rounds. eXtreme Terminal Performance bullets designed for hunting, self-defense and law enforcement. 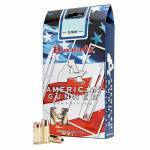 Bulk package of 75 rounds. Caliber: 380 Auto Muzzle velocity: 1000 Energy: 200 ft/lbs 75 Rounds ..
A collection of tried and true versatile loads that are popular for target shooting, hunting or self defense. Made in the USA. Loaded with the XTP (Xtreme Terminal Performance) bullets are exceptionally accurate and the choice of many competitive shooters around the world. Caliber: .357 Mag Weight: 125gr. Muzzle: 1500 fps Energy: 624 ft/lbs (muzzle) 25-Rounds ..
A collection of tried and true versatile loads that are popular for target shooting, hunting or self defense. Made in the USA. Loaded with the XTP (Xtreme Terminal Performance) bullets are exceptionally accurate and the choice of many competitive shooters around the world. Caliber: .38 Special Weight: 125gr. Muzzle: 900 fps Energy: 225 ft/lbs (muzzle) 25-Rounds ..
A collection of tried and true versatile loads that are popular for target shooting, hunting or self defense. Made in the USA. Loaded with the XTP (Xtreme Terminal Performance) bullets are exceptionally accurate and the choice of many competitive shooters around the world. Caliber: .380 auto Weight: 90gr. Muzzle: 1000 fps Energy: 200 ft/lbs (muzzle) 25-Rounds ..
A collection of tried and true versatile loads that are popular for target shooting, hunting or self defense. Made in the USA. Loaded with the XTP (Xtreme Terminal Performance) bullets are exceptionally accurate and the choice of many competitive shooters around the world. 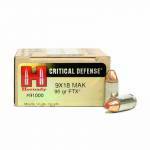 Caliber: .40 S&W Weight: 180gr. Muzzle: 950 fps Energy: 361 ft/lbs (muzzle) 20-Rounds ..
A collection of tried and true versatile loads that are popular for target shooting, hunting or self defense. Made in the USA. Loaded with the XTP (Xtreme Terminal Performance) bullets are exceptionally accurate and the choice of many competitive shooters around the world. Caliber: .45 Auto Weight: 185gr. Muzzle: 970 fps Energy: 386 ft/lbs (muzzle) 20-Rounds ..
A collection of tried and true versatile loads that are popular for target shooting, hunting or self defense. Made in the USA. Loaded with the XTP (Xtreme Terminal Performance) bullets are exceptionally accurate and the choice of many competitive shooters around the world. Caliber: 9mm Luger Weight: 115gr. 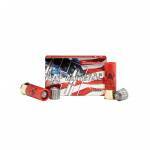 Muzzle: 1155 fps Energy: 341 ft/lbs (muzzle) 25-Rounds ..
A collection of tried and true versatile loads that are popular for target shooting, hunting or self defense. Made in the USA. Loaded with the XTP (Xtreme Terminal Performance) bullets are exceptionally accurate and the choice of many competitive shooters around the world. Caliber: 9mm Luger +P Weight: 124gr. Muzzle: 1200 fps Energy: 396 ft/lbs (muzzle) 25-Rounds ..
Loaded with Hornady InterLock bullets in weights that have been deer hunting favorites for decades, American Whitetail ammunition combines generations of ballistics know-how with modern components and the technology you need to take the buck of a lifetime. Caliber :243 Winchester Bullet Type :Interlock Bullet Weight :100 GR Muzzle Energy :1654 ft lbs Muzzle Velocity :2960 fps Rounds Per Box :20 Rounds Per Box .. 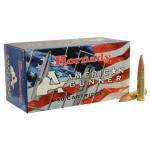 Designed for smooth-bore barrels, Hornady American Whitetail Rifled Slugs are loaded with a 1-ounce foster style slug. The hollow point style slug features a tough, lead alloy core loaded to 1,600 feet per second. The compression style wad protects the slug at ignition and helps to seal the bore for maximum velocity. Gauge :12 Gauge Type :Rifled Slug Length :2.75" Ounces :1oz Slug Shot Size :Slug Muzzle Velocity :1600 fps Rounds Per Box :5 .. Designed for fully rifled barrels, Hornady American Whitetail Slugs are loaded with 325-grain Hornady InterLock bullets. A hollow point serrated design initiates rapid expansion upon impact, and a tough, lead alloy core is lethal out to 200+ yards. The rigid polycarbonate sabot ensures accuracy. The end result is an accurate delivery system for a tough shotgun slug capable of taking the biggest midwestern whitetails. It has an InterLock ring that locks the core and jacket together to deliver con..
Loaded with Hornady InterLock bullets in weights that have been deer hunting favorites for decades, American Whitetail ammunition combines generations of ballistics know-how with modern components and the technology you need to take the buck of a lifetime. Caliber :25-06 Bullet Type :Interlock Bullet Weight :117 GR Muzzle Energy :2322 ft lbs Muzzle Velocity :2990 fps Rounds Per Box :20 Rounds Per Box ..
American Whitetail ammuntion is loaded with Interlock bullets for that 'Buck of a Lifetime' hunt. Interlock Bullets Optimized loads made specifically for deer hunting Select propellants that deliver consistent accuracy and performance 130 gr. 3060 fps / 2702 ft. lbs. 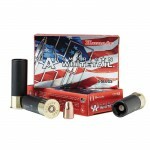 20 Rounds per box ..
American Whitetail ammuntion is loaded with Interlock bullets for that 'Buck of a Lifetime' hunt. Interlock Bullets Optimized loads made specifically for deer hunting Select propellants that deliver consistent accuracy and performance 150 gr. 2910 fps / 2820 ft. lbs. 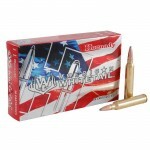 20 Rounds per box ..
American Whitetail ammuntion is loaded with Interlock bullets for that 'Buck of a Lifetime' hunt. Interlock Bullets Optimized loads made specifically for deer hunting Select propellants that deliver consistent accuracy and performance 150 gr. 2390 fps / 1902 ft. lbs. 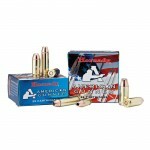 20 Rounds per box ..
American Whitetail ammuntion is loaded with Interlock bullets for that 'Buck of a Lifetime' hunt. Interlock Bullets Optimized loads made specifically for deer hunting Select propellants that deliver consistent accuracy and performance 139 gr. 3150 fps / 3062 ft. lbs. 20 Rounds per box ..